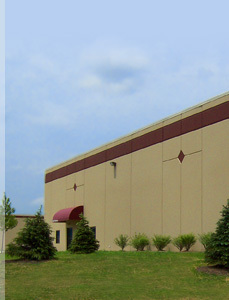 KP Properties has proudly been serving the Greater Cincinnati and Dayton, Ohio areas with general warehousing, distribution, and manufacturing space for over 20 years. We specialize in the leasing of warehouse space and presently manage approximately 1 million square feet in the Greater Cincinnati area. Our modern facilities are available for lease in sizes ranging from 20,000 square feet up to 150,000 square feet in each of the multi-tenant buildings. The KP Properties locations are conveniently located near major Interstates 75, 71, 74 and 275 that serve as arteries for manufacturing and transportation in the Midwest. Currently, we have locations in the Northern Cincinnati areas of Monroe, Sharonville and Mason, Ohio all of which have excellent access to and from local interstate systems and major thoroughfares. The KP Properties locations all feature ample parking, high visibility, and easy access to and from the major Interstate systems in Southern Ohio. We offer office build-outs to suit, locations suitable to heavy traffic flow and feature steel and concrete buildings that are heated and protected by state of the art sprinkler and security systems. For more information about leasing space at KP Properties, please contact us by filling out our online form or by calling Dave Knust at 513-319-3422. We look forward to serving your leasing needs.